Again from the strip of land between Arboretum Blvd. and Loop 360 on March 14th, here are some opening buds of old plainsman (Hymenopappus scabiosaeus). Don’t you find them sculptural? As with the previous image, I had to lie down to take this photograph, given that the small buds were little more than a foot (0.3m) above the ground. 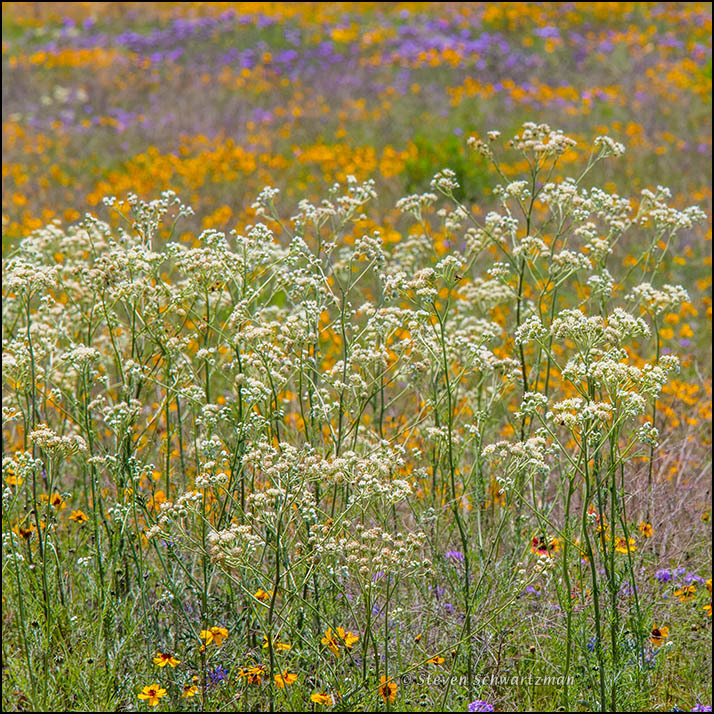 Unlike the Indian paintbrush and bluebonnet shown in the last post, old plainsman is a native plant that few people pay attention to, much less appreciate. On the contrary, I suspect many consider it a weed. Not I. Nor I. This plant would look lovely as a bas relief, wouldn’t it? From this shot you’d never think it was so short. Now that’s an idea: while people have occasionally suggested turning a photo into a painting or piece of jewelry, you’re the first person ever to suggest a bas relief. A close view with a macro lens can make something small seem large, especially when you’re not familiar with the subject. I welcome the aggrandizement. I’ve decided to start painting flowers large, a la O’Keefe, and I’ve been toying with the idea of incorporating bas relief in them as well. Not just at the moment~I have two shows I’m gearing up for. That sounds like a doubly worthy aggrandizement—size as well as thickness—to follow your double shows. It’s good to be productive. Yes, and to try new things. Keep us informed when you have results that you like. 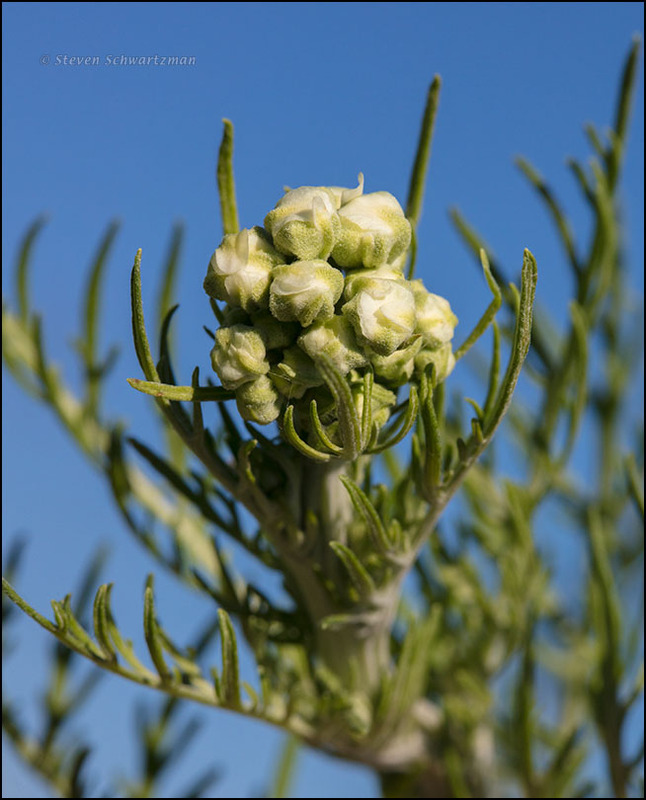 One of the common names I came across was “false cauliflower.” The way the leaves curl up to surround the buds does seem similar. I was surprised to find I may be able to add this one to my small but growing collection of plants-with-bracts. One site said the rays fall off soon after opening, some said there weren’t any rays, but most said there were no rays, only bracts surrounding the disk flowers. I’m not sure I’ve ever seen the plant, but now I’ll look for it: especially north and west of here. It’s not listed for my surrounding counties. Speaking of weeds, I recently heard someone refer to “all those weeds” edging her lawn. “Those weeds” turned out to be prairie fleabane. Ah yes, we can commiserate about the “weeds” so many people see around them. How anyone wouldn’t like prairie fleabane is beyond me. Oh well, lots of things are beyond me. The good news for you is that Hymenopappus artemisiifolius, a similar but slightly more colorful species (the flowers usually have a pale reddish tinge) that’s also called old plainsman, has been reported in Brazoria County and Harris County. Now is the time when these erect plants flower, so I suspect you’ll see some soon. Shinners and Mahler’s confirms that both species lack ray flowers. what a treat to see the closeup and the field alive with color – suitable for a monet! So far this season we’re still short on large-scale “alive with color” scenes (the one in the previous comment is from 2013). I’ve yet to find my Monet moment for 2017 in Austin, but I hope it’s not far away. April and May here are normally the most flowerful months. may those monet moments be plentiful!